Ministers in charge of Industry and Quality in West Africa are to meet in Accra, Ghana, 24-25 April, 2015 to consider and validate several documents including the strategy for implementation of the West Africa Common Industrial Policy (WACIP 2015-2020), designed to facilitate the industrialization of the region. Since the adoption of WACIP by ECOWAS leaders in July 2010, a lot of work has been done, mainly in the harmonization of standards of products as part of the strategy for the implementation of the ECOWAS Quality Policy (ECOQUAL), but there is still the need to address a number of identified challenges.The ministerial session will be preceded by an experts’ meeting 20-23 April, 2015, also in the Ghanaian capital. The main objective of the meetings is for the ministers, experts, the organized private sector and other key stakeholders to examine the revised strategy for the implementation of WACIP and the related programmes. These include, the ECOWAS Industry Strategy Review, ECOWAS Quality Infrastructure Programme, ECOWAS Regional Pharmaceutical Industry Plan (2014-2020); as well as the documents on the Facilitation of Industry Development through a value chain approach and competitiveness, the ECOWAS Industry Forum and the Agro-industry Cluster approach. 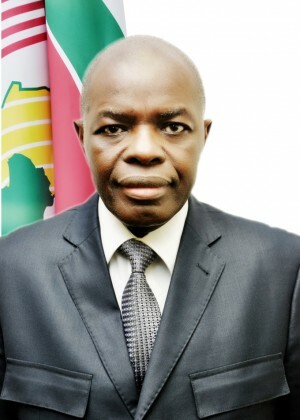 The expected outcomes of the meetings include validation of the Revised Strategy for Industrial Development (2015-2020); an ECOWAS Industrial Database and Information System framework; Support for the implementation of the third-phase of the West Africa Quality Programme; Validation for adoption of the ECOWAS Harmonized Standards (ECOSTAN). Participants at the meetings include ministers in charge of Industry and Quality of ECOWAS Member States, National industry experts, ECOWAS Standard Harmonization Technical Monitoring Committee Bureau, representatives of National Manufacturers Associations, Chambers of Commerce and Industry, technical and financial partners, including the World Bank, Food and Agricultural Organization (FAO), United Nations Industrial Development Organization (UNIDO), United Nations Economic Commission for Africa (UNECA) among others. Also expected are representatives of regional and continental organizations – UEMOA, African Union and the ECOWAS Bank for Investment and Development (EBID) and the West African Health Organization – as well as regional business associations.